Almost 500,000 insurance claims have been filed in Florida because of Hurricane Irma, and only 17 percent of those claims have been closed, according to recent figures from the Florida Office of Insurance Regulation. Standard homeowner’s insurance policies don’t cover flood damage. In fact, if you were in Irma’s path, you might have sustained more wind damage than flooding. But while Irma brought stronger wind than rain in most parts of Florida, many homes suffered significant flood damage. On August 11, 2017, a Jacksonville couple purchased a flood insurance policy. One month later, the couple watched as Hurricane Irma flooded their home and three cars. At that point they hadn’t even opened the insurance policy packet. When they finally looked at their policy, they realized the effective date was not the expected September 11 (the day Irma struck), but September 16. The insurance company told them it would not cover the flooding damage caused by Irma. Generally there is a 30-day waiting period before a flood insurance policy takes effect. But the Jacksonville couple thought that the clock began ticking on the day their insurance company accepted payment, while the company argued that the waiting period did not begin running until the payment cleared on August 16. The couple researched the legal question involved and learned that the 30-day waiting period starts running on the day the payment is submitted (in their case, August 11). That means their insurance policy should cover the flooding damage caused by Hurricane Irma. Review the denial letter. Your insurance company must issue a formal denial to you in writing and state the reasons for the denial. Ask for clarification if the reason is ambiguous or doesn’t make sense. Review your policy. It’s possible that your claim wasn’t wrongfully denied — either way you need to understand your coverage terms. Or there might be a mistake with your policy, as with the Jacksonville couple whose flood policy actually went into effect before the listed date. File an appeal. Your insurance company has an appeals process. Review your policy for details. Consult an experienced attorney. An attorney can help you determine your best legal options, particularly if appealing the denial doesn’t work. Contact a Jacksonville insurance attorney at The Pendas Law Firm today for a free consultation if your property has sustained flood damage during a hurricane or another weather event. 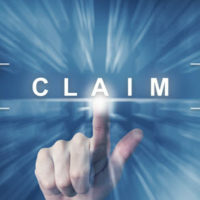 We will guide you through the insurance claims process and help you recover for your losses. The Pendas Law Firm also represents clients in the Tampa, Orlando, West Palm Beach, Fort Myers, Fort Lauderdale, Miami, Daytona Beach and Bradenton areas.